Head southwest on Ontario QEW for 37.7 km. Keep left to continue on Queen Elizabeth Way/Ontario QEW, follow signs for Niagara/East Hamilton/Fort Erie for 12.1 km. Take the Centennial Parkway S exit. Merge onto Centennial Pkwy N for 4.7 km. Turn left onto Ridge Rd. You will see the Punch Bowl Market & Bakery it to your right in about 600 m.
Directions from New York State via Niagara falls. Continue to Niagara Falls, Canada. Continue onto Falls Ave/Regional Rd 420. Follow Queen Elizabeth Way/Ontario QEW to Fruitland Rd/Regional Rd 434 in Stoney Creek, Hamilton. Take exit 83from Queen Elizabeth Way/Ontario QEW. Continue onto ON-420 W (signs for Queen Elizabeth Way/Ontario 420 W). Keep left at the fork, follow signs for Queen Elizabeth Way/Hamilton/Toronto and merge onto Queen Elizabeth Way/Ontario QEW. Take exit 83 for Fruitland Road toward Regional Road 455. Continue on Fruitland Rd/Regional Rd 434. Drive to Ridge Rd. Turn left onto Fruitland Rd/Regional Rd 434. Turn right onto Queenston Rd/Hamilton 8. Turn left onto Dewitt Rd. Turn right onto Ridge Rd/Regional Rd 425. Keep left to continue on Ridge Rd. 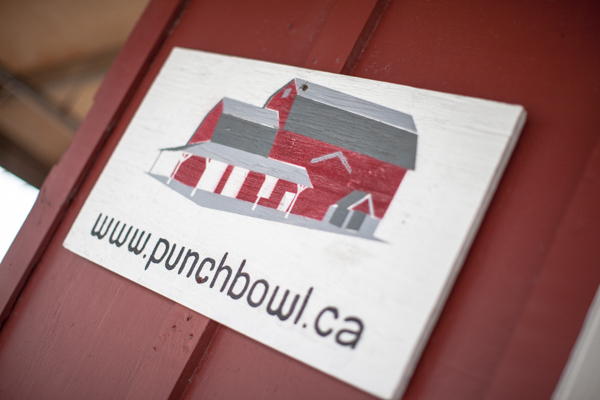 You will see the Punch Bowl Market & Bakery to your left about 1km on Ridge Road.